Sujimoto Construction Ltd. is more than a construction company; it is a provider of Lifestyle, known for one thing, Excellence. Sujimoto Construction Ltd, a dynamic construction company committed to deploying advanced construction methods that ensure exceptional results with a reputation of ‘0’ tolerance to mediocrity ,establishing confidence from our clients and shareholders. The triangular mantra of ‘Build-it, Sell-it, Manage-it’ philosophy has given Sujimoto its competitive edge and proud of our core expertise which is Luxury Real Estate’s Number one rule. Sujimoto construction is particularly known for meticulous attention to the tiniest detail with a guarantee that stands the test of time. 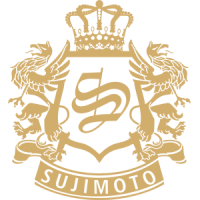 In nurturing the Sujimoto brand, our interactions are guided by our core values that are Diligence, Innovation and Hard work.